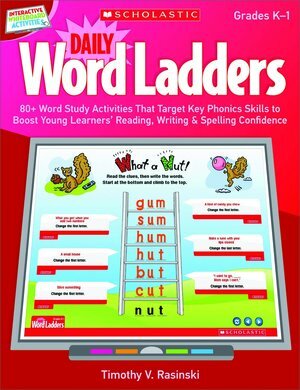 Students climb to new heights in reading and writing with these fun, engaging, reproducible word-building games-now also available for whole-class participation through the interactive whiteboard! Students read clues on each rung, then change and rearrange letters to create words until they reach the top. All the while, theyre analyzing sound-symbol relationships, developing phonemic awareness, broadening their vocabulary, and building spelling skills to become better readers. CD includes ready-to-use Active inspire files.